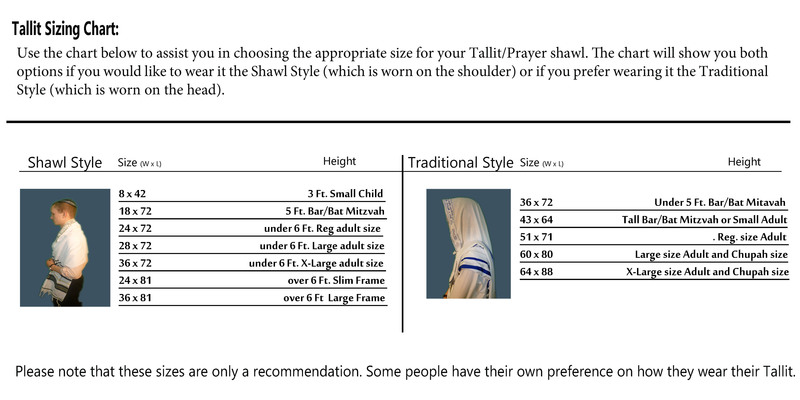 Chabad Tallit is available with hand made tzitzit or with no tzitzit. Tallit has an option for some add-on's including additional cloth lining sewn to the underside by the head and shoulder area. Side bands are decorative band sewn on the underside along the edge for additional reinforcement. The middle band is a decorative band running on the topside through the center on the whole width of the tallit. The Chabad Tallit is a high quality tallis that incorporates all the customs, minhagim, that are required according to the Chabad-Lubavitch chassidim. 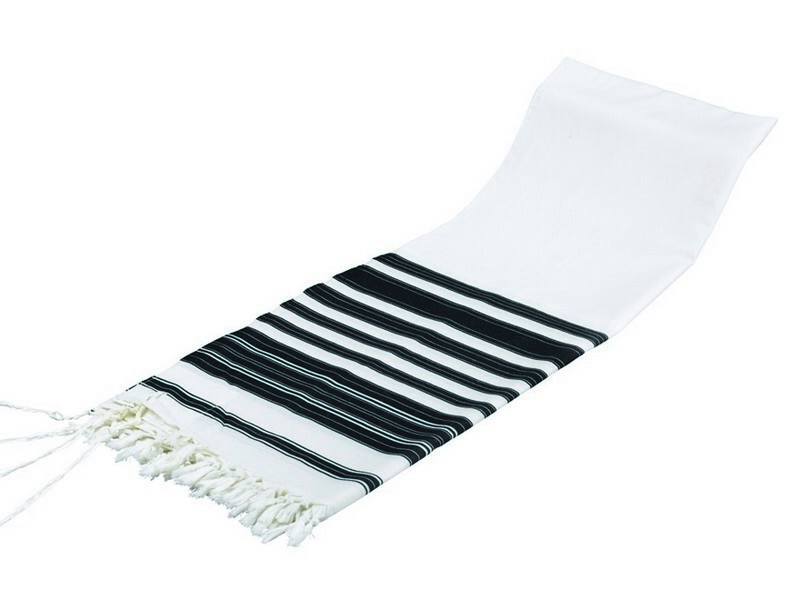 The tallis is made from 100% fine wool and is striped with the black stripe pattern that is worn by Chabad chasiddim. The tallis has silk corners and no atarah neckband that comply with all the Chabad hiddurim.